Alright, first and foremost, why does it seem like the USA is always late to the party when it comes to fun new foods and dessert trends? Like really, any time I’m reading about an out-of-this-world, too pretty to put in your mouth concoction (usually from Starbucks, TBH), it’s usually only rolling out in Japan or Mexico. And this new debut is no different. We’ll say again, the unicorn trend is going nowhere, fast. 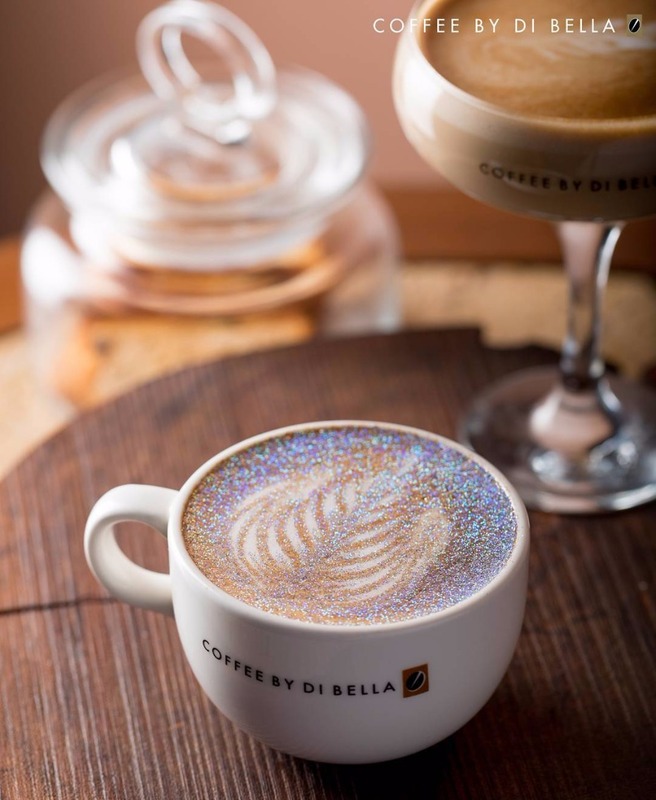 The story is this: as the capp is brewing, baristas add edible glitter, diamond dust, fairy dust, whateverrrrr, and swirl it around for a psychedelic look that is mesmerizing. And since going viral, the glitter cappuccino hashtag has been getting some love, with coffee addicts fuming (or foaming, if you will) to get their hands (or horns ;) on one. Don’t worry chicks, some stateside cafes have been showing their stuff, and it looks like the trend is going domestic. YAY!!! Now that we’re days into the sweater-weather season, we’re getting a little bored with our pumpkin spice, so this new java fad definitely has us jittery. 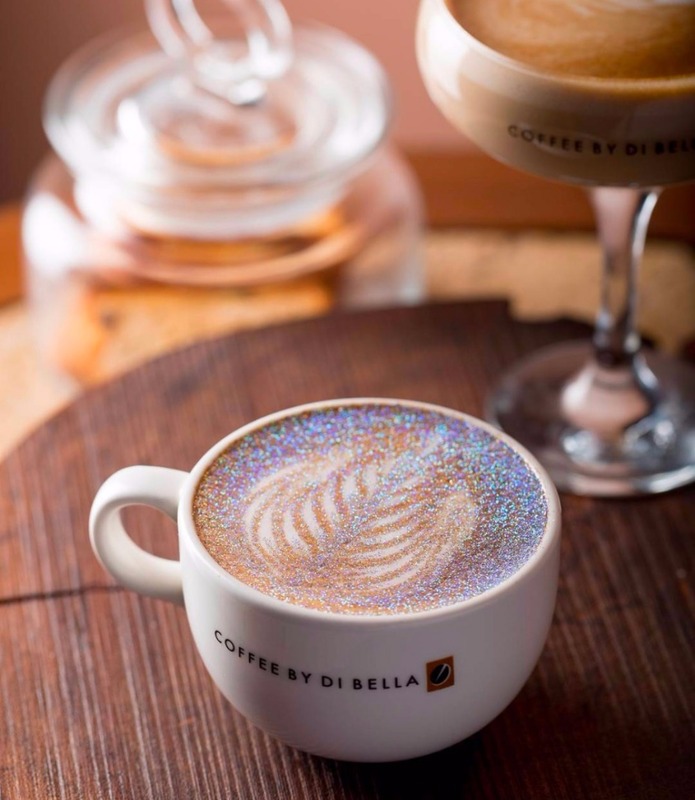 We’ll wait for more pics to pop up, because we’ve only seen rainbow and gold dust iterations - but until then, we’ll just energize you with some hella haute latte art. And as you’re coasting into the weekend, why not try an equally good-looking fall cocktail with your crew?